Mike Rutherford was a player at Portland High and coached his first game in 1995. Now he has won 300 games as a coach after Tuesday's 11-1 win over Deering. You couldn’t have scripted it any better. 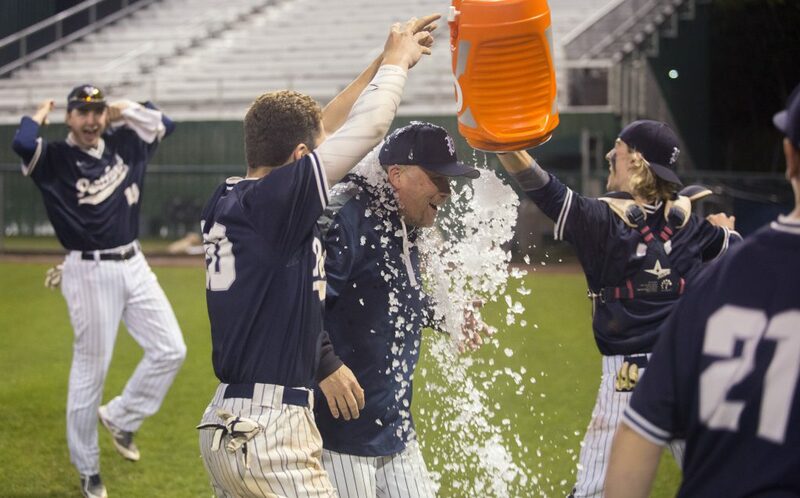 One-time Portland High standout Mike Rutherford coached the Bulldogs to an 11-1 victory over rival Deering to win the 300th game of his career on Tuesday night at Hadlock Field. Portland won this game like so many others, with strong pitching, error-free defense, aggressive base-running and timely hitting. It also took advantage of five Deering errors to win by the mercy rule in the bottom of the fifth inning. Portland (8-1) scored three runs in the bottom of the first inning without the ball leaving the infield as Ben Stasium, Billy Barnard and Will Snyder all scored. The Rams (5-4) got a run back against Portland starter Donnie Tocci in the third. 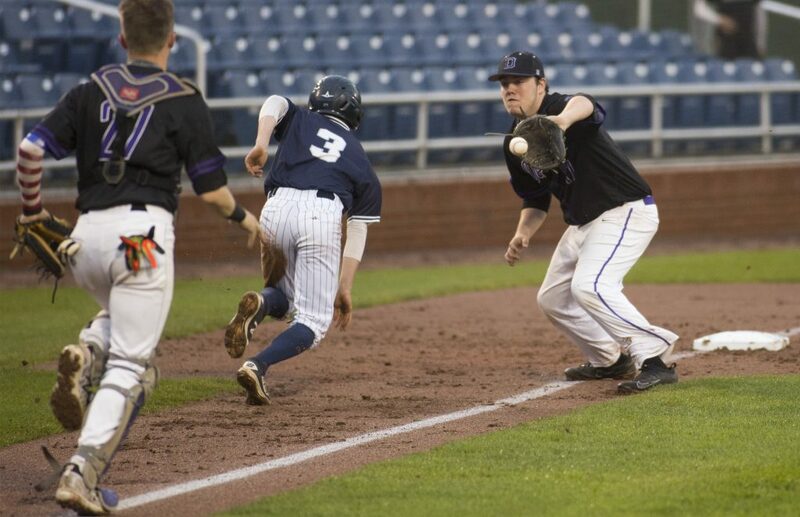 Starting pitcher Luke Hill singled home Luc Harrison (three hits), but the Bulldogs broke it open in the fourth as two more Deering errors led to a five-run inning. 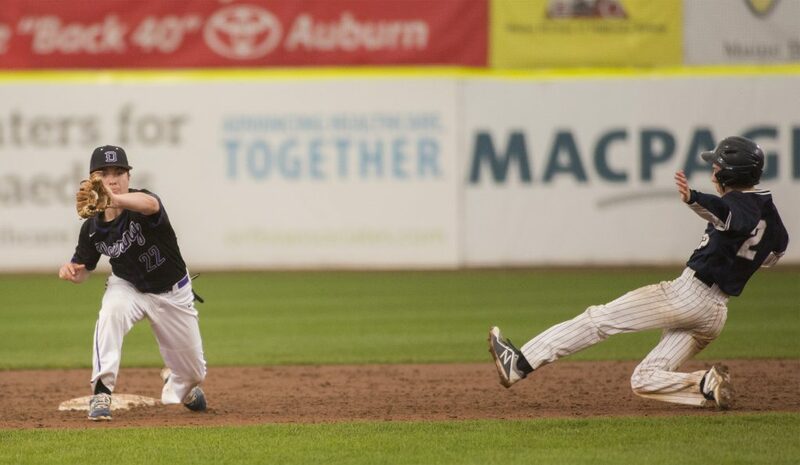 Portland scored three more runs with the help of a balk, a wild pitch and a groundball. The Bulldogs brought the game to an end in the bottom of the fifth against Rams reliever Bobby Ridge. A pair of walks, an RBI single from Brian Riley and another walk set the stage for Barnard to rip a two-run single to right to bring home two runs to induce the 10-run mercy rule. 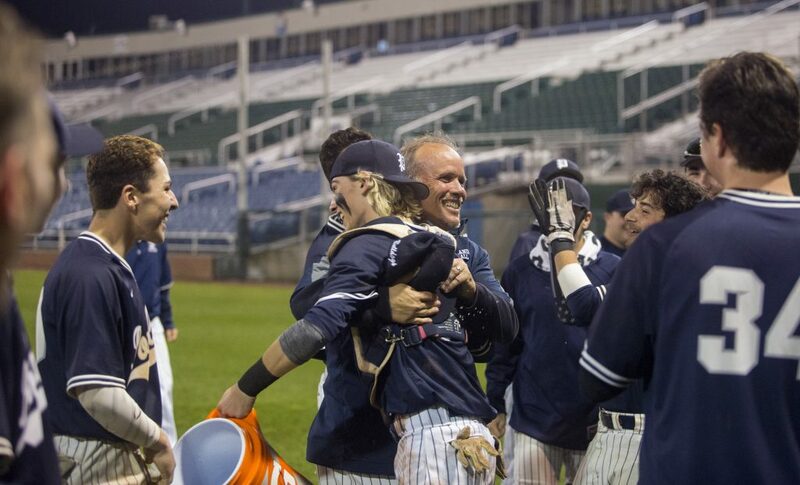 “I was waiting for my pitch and I was ready to attack it,” said Barnard, who had three of Portland’s six hits. “It wasn’t the greatest walk-off, but I’ll take it, especially against Deering. They’ve been our rival forever. Rutherford, who won the Fitzpatrick Trophy playing football for Portland. 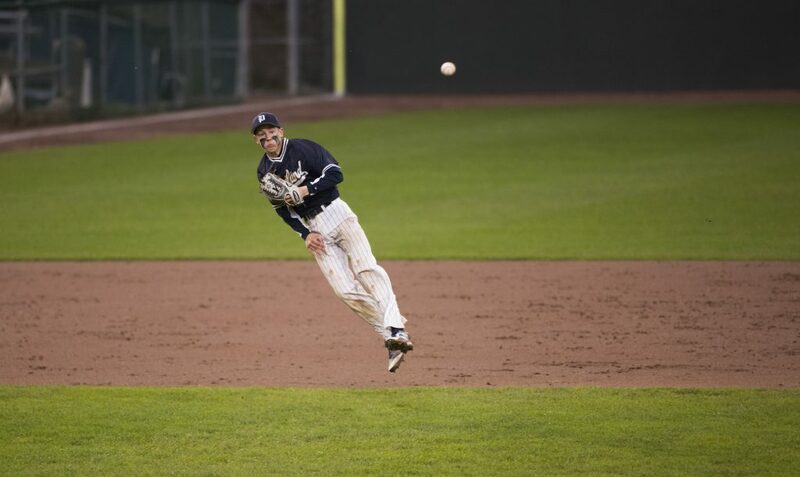 He was also a standout baseball player for the Bulldogs and went on to star at the University of Southern Maine. He took over his alma mater in 1995 and won 193 games, three regional titles and the 1998 Class A state championship over a 12-year span. After spending four years at Westbrook, where he went 59-20, leading the Blue Blazes to the regional final on three occasions, Rutherford spent three years coaching the Portland junior varsity squad before returning to the varsity position for the 2015 season. He is now 300-98 for his career. 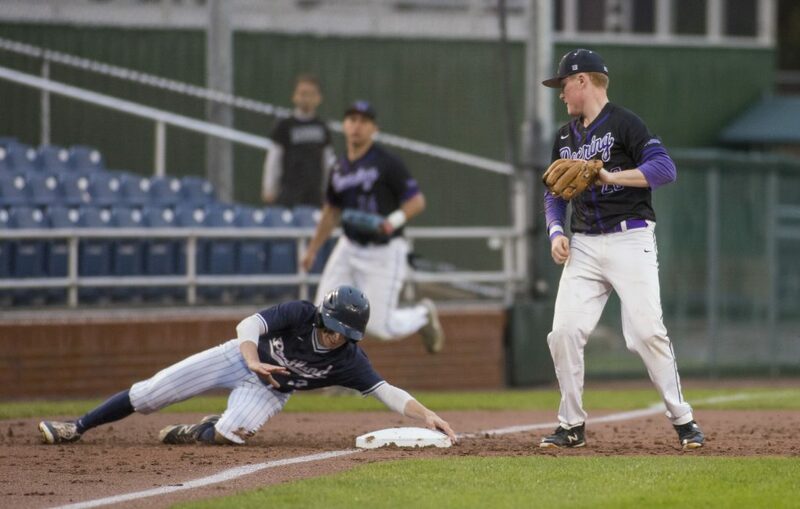 Deering had six hits, but its five errors were its downfall. “We had couple minor mistakes,” said Rams Coach Josh Stowell. “Portland waits for you to hurt yourself, then they take advantage.